The clues are in the writer’s history. A former lawyer, trained in international human rights law, someone who has lived seven years in Israel and heard the terrible stories of the continuous oppression of the Palestinian people by Israel that informs this novel. That and she, like Nora in the novel, had a traditional village wedding to an Arab-Israeli – someone who got out of the ruins with the aid of his remarkable intelligence. So this then is his story. The Almond Tree is harrowing. Corasanti does not need to embellish. The encirclement of the Palestinian people, the removal off their own properties, the chain wire fences they put around ‘their’ orange trees as they took all the best land and impoverished a whole nation is well documented. The masters who invented apartheid in South Africa did the same. Deprive people of a means to a living, impoverish them spiritually – deny them rights, education, nourishment and then point at them as say ‘See – they live like animals’. Just last week Mitt Romney fell for it and pointed out the ‘Cultural’ superiority of Israel by comparison to the Palestinians. As if he hasn’t noticed how all the best land was stolen, the long concrete wall that strangles and divides them, the continued illegal occupation and buildings. Corasanti takes us back to 1955 and it begins with a child, Amal, being blown up by a landmine just outside their own orchard. Because of curfew they can’t even bury the little girl that night. A day later the Israelis descend, ring fence with wire the family home that had been theirs for centuries and give them thirty minutes to get off the land. They are dumped by a mud hut smaller than their chicken hut with an almond tree in the tiny backyard. This is the beginning of hell on earth for Ichmad Hamid, his brother Abbas their father Baba, their mother and assorted brothers and sisters. From the top of the Almond Tree with a toy telescope they can see their former home be occupied – watch as the settlers put in swimming pools that takes water from villagers, as they grow ever poorer. But this is a story with hope, for Ichmad is a maths genius. His father knows it and so does the schoolmaster, but what possible future could there be for a boy living in a mud hut. Fate steps in when the former occupant of the mud hut (now resistance fighter) arrives late one night and forces Ichmad to help him bury weapons under the Almond tree. Ichmad is sworn to secrecy. The terrible consequences come the very next day when the Israeli soldiers arived kicking and pointing their guns. They know there are weapons here. They arrest Baba, their pacifist father, bulldoze the mud hut and Ichmad and his brother Abbas end up having to work on a construction site, building homes for Israeli’s on ‘their’ land. Now the whole family live in adamp tent in total squalor, only the two brothers bringing in a small amount of money. Worse is still to come. An Iraqi takes a dislike to them on the building site and eventually pushes Abbas of a ledge and he falls hard breaking his back in two places. This story is harrowing, the deprivation terrible. Their father is given a fourteen-year sentence – even though totally innocent. Brother Abbas lives, but is crippled for life, his anger growing all the time against the Israelis. Even though their father is imprisoned in the harsh Dror Detention Centre in the hot Negev Desert, he never advocates anger. He advises Ichmad to survive, continue his studies (even though he is now working in the slaughterhouse behind the house). The chance for change comes when his schoolmaster (who hasn’t given up on Ichmad) encourages him to apply for a scholarship to a Hebrew University. His mother doesn’t want him to go near the Jews, his brother promises never to speak to him if he goes, but Baba advises him from prison to go for it. He knows that success in education is the only way out of their poverty. Ichmad wins the scholarship and now he will be schooled by the enemy. His brother will never forgive him. At the University he makes friends but is also a victim of prejudice that nearly costs him place there. He lives an impoverished existence there – sending all his bursary money to his family to keep them going. How Ichmad overcomes all the odds to success is the heart of the story. But tragedy never leaves his side. When he marries a Jewish girl – his brother is driven to join the underground terror groups. Every time he succeeds at something, something else is taken away and all the time Israel is making life for the Palestinians yet more harsh. 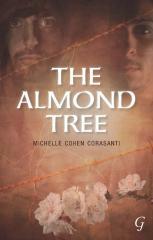 The Almond Tree is a novel that should be required reading in Israel. It is sobering. Perhaps too fantastic for some – too optimistic – but it is built on a foundation of truth and the harsh oppression of Palestinians can never be denied. That there are people there who turn the other cheek, call for tolerance and peace is remarkable given their history since 1948. Right now we see the same words used by the dictator Assad against his own people – calling anyone who opposes him terrorists and outsiders - demonising those who call for democracy and freedom. The Almond Tree, intelligent, never over stated and written with love, informs and educates – it reminds us that their could be a better way to share this land and that if you allow intellect to blossom only good will come from it. Mean Tide by Sam North - Oliver, aged twelve is sent to live with his only relative. On a foggy day, one bald boy, with his cat, Flop, arrives at his Grandma's house at the water's edge in Greenwich. Oliver discovers to his horror that his Grandma, a famous psychic, hates cats. Her housekeeper, Lena loathes kids, and silent Justine seems to hate everyone. Add crazy Harriet, who has seen every fortune teller in London; Aura, a mysterious, aspiring beautiful actress and Bullet, the homeless kid with a very mean streak, trouble can't be far behind.